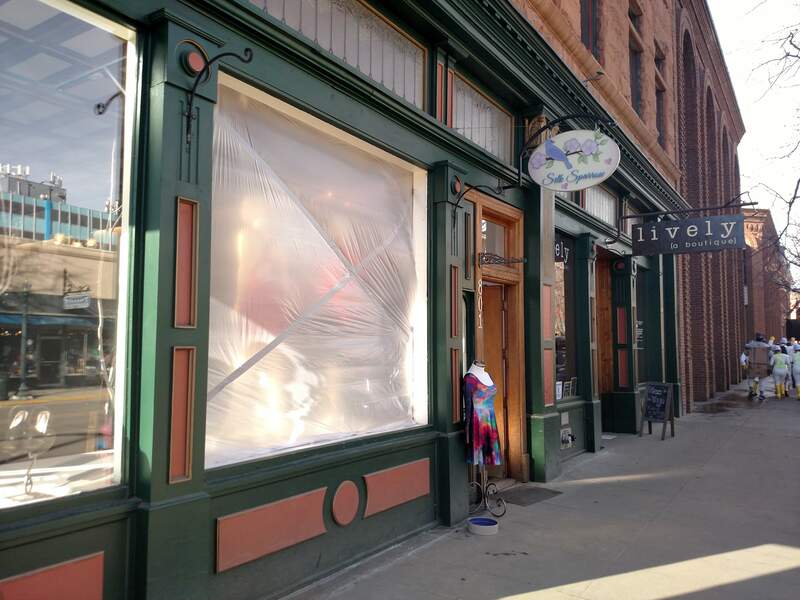 A window shattered at the Silk Sparrow at 8th Street and Main Avenue Saturday morning. Vandalism is not suspected, the business owner said. A window shattered at the Silk Sparrow at 8th Street and Main Avenue Saturday morning. 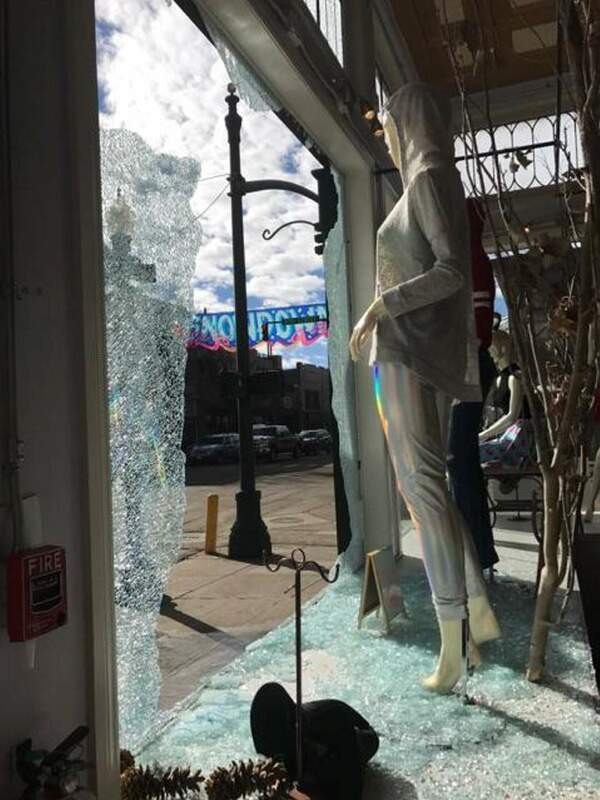 A window shattered at Silk Sparrow at Eighth Street and Main Avenue on Saturday morning. A witness said no one was around. 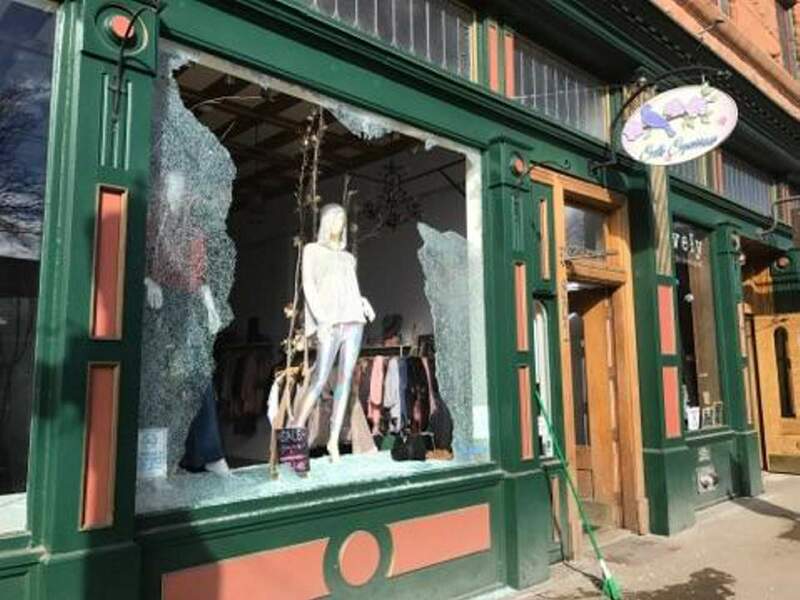 A glass storefront window at the Silk Sparrow clothing retailer shattered Saturday morning, either from a Snowdown alien intervention, or possibly a mannequin in the store falling against the glass. The shop is at Eighth Street and Main Avenue. Silk Sparrow owner Sarah Rousseau said an employee at the Downtown Welcome Center across the street witnessed the glass breaking around 9 a.m. and did not see anyone near the store at that time. The employee could not be reached for comment. Rousseau said she would not have an estimate on the damage until Monday. Plastic was taped over the window as a temporary fix Saturday afternoon, but the window will be boarded up before the store closes. Replacement glass will be shipped from Albuquerque and will arrive in three weeks, Rousseau said. Rousseau said the store’s window was broken once before about a year ago, when an intoxicated man punched through it. Durango Police said the incident is under investigation and there are no suspects.